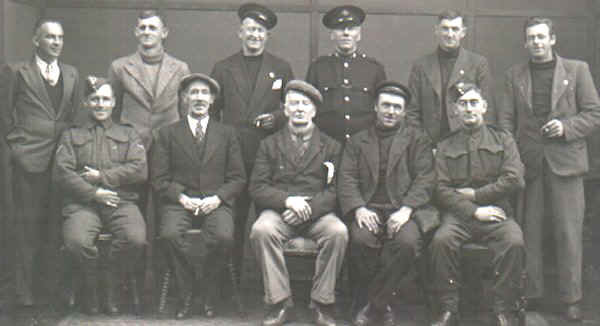 Back row L to R =Steve Pearce - (Uncle) Clifford Jenkins - Bill Cameron -Bill ? - (Gramfer) John Clare Jenkins - Clemmie Trenear. Front row L to R =Fred Lauffin - ? - Mr. Cameron (Bill's Father) - Bert Jenkins - ?